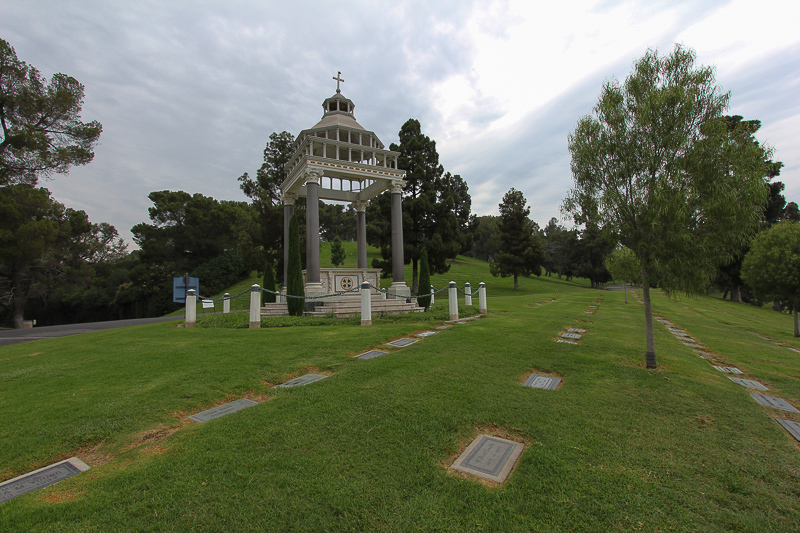 July 11, 2013 - Today's adventure was to visit a bone yard, but not just any bone yard, it was the Forest Lawn Memorial Park in Glendale, CA. 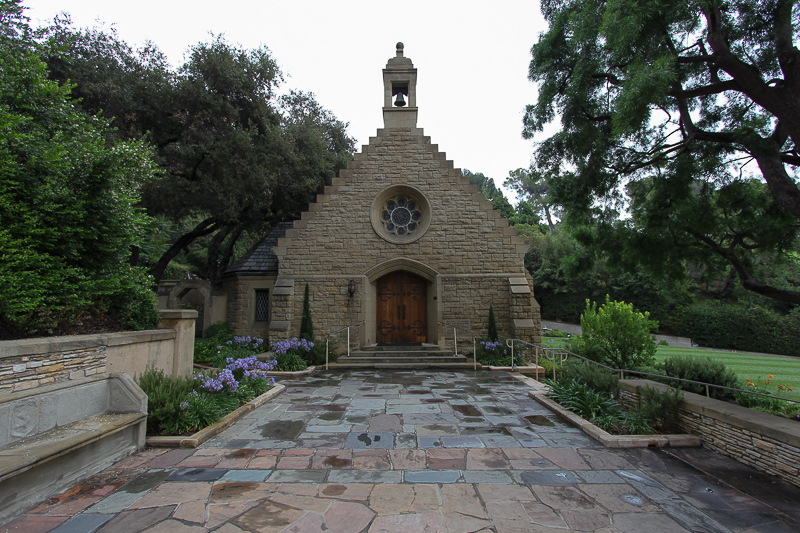 Unlike any other cemetery, Forest Lawn attracts over a million visitors per year and over 60,000 weddings have been performed there, including Ronald Reagan and Jane Wyman's. 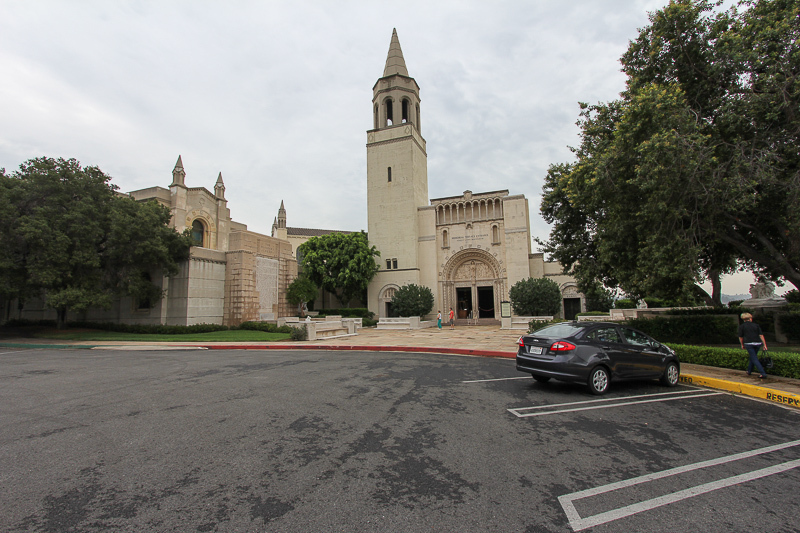 Forest Lawn is not just a memorial park, it's also a museum, an art gallery and an architectural showcase. 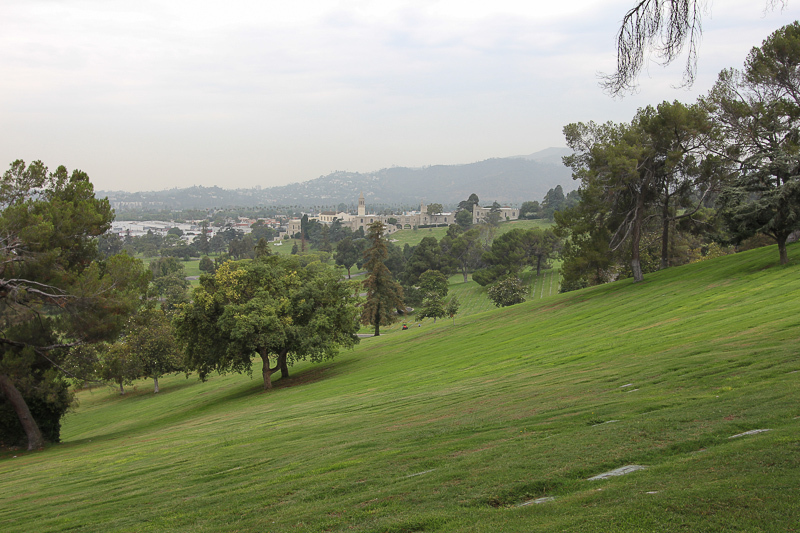 While many of the biggest stars in Hollywood history are buried here, we decided not to waste our time chasing locations of their individual graves since the park is over 300 acres. Besides, we had done that once before while in Paris, France when we went to see Jim Morrison's grave in the Père Lachaise Cemetery. Wikipedia has a list of the notable burials here; follow this link and scroll down to view their list. This is the Great Mausoleum. While we weren't looking for anyone special here, inside the Great Mausoleum the tomb for Elizabeth Taylor couldn't be missed, since the statue in front of her crypt was 15-20 feet tall. We also noticed the crypts of the Red Skelton and Sid Grauman families here. 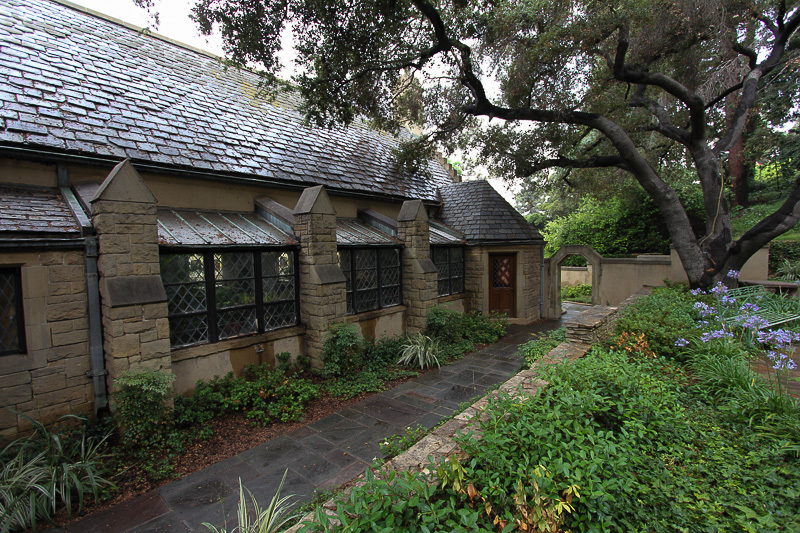 The stained glass copy of da Vinci's "The Last Supper" is located in this building as well. 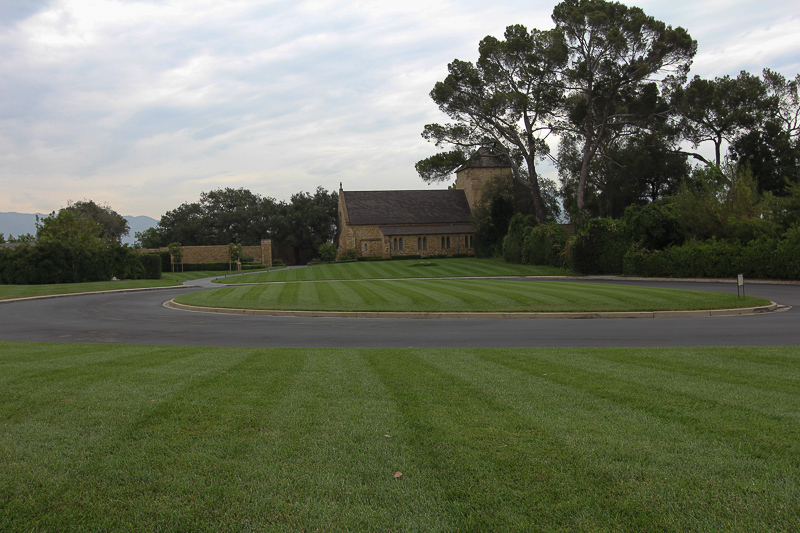 The grounds were beautiful and wonderfully maintained. There are about 250,000 people interred here. 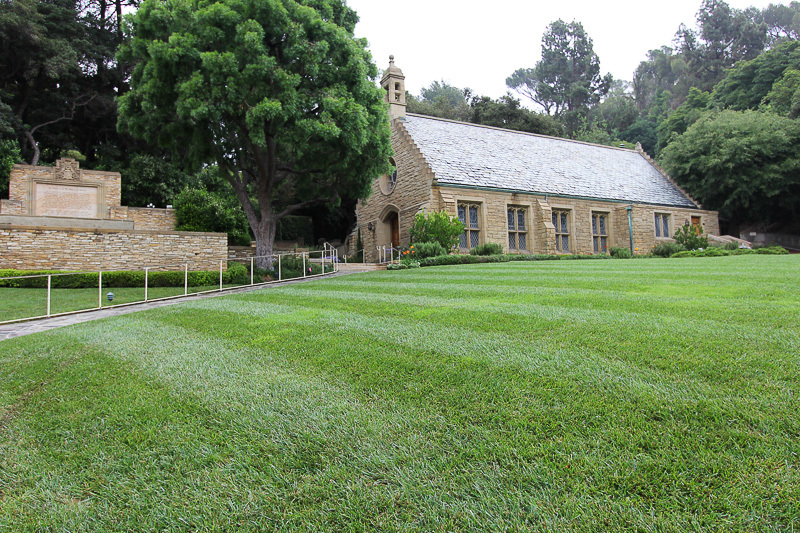 This is the Wee Kirk O' the Heather Church where Reagan married Jane Wyman. This is the Church of the Recessional. 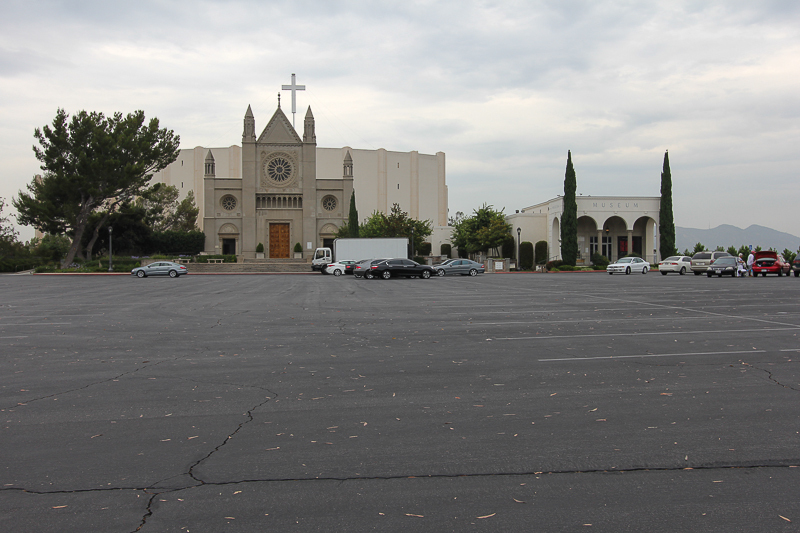 This is the Hall of the Crucifixion/Resurrection and the Forest Lawn Museum to the right. The stained glass and bronze sculptures in the museum were beautiful. 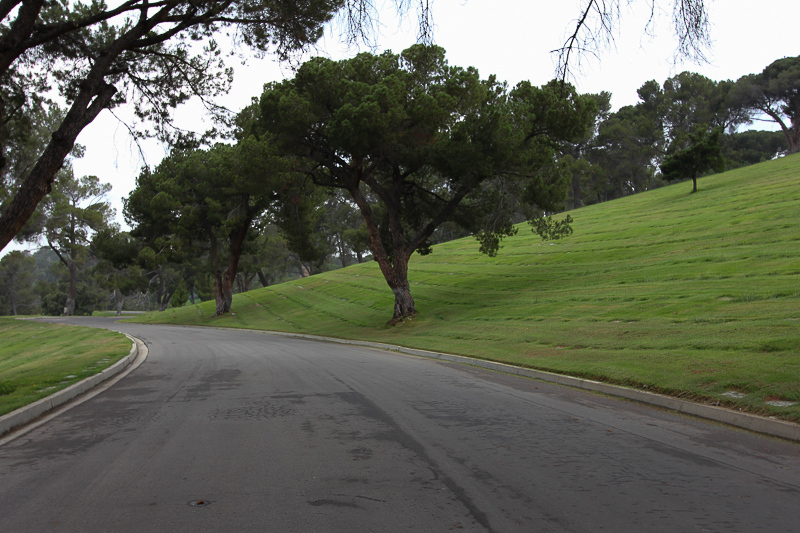 While driving through the park I thought I was just "driving through a park," so the actual surroundings didn't bother me at all. Judy felt the presence of being in a cemetery, so unfortunately, she wasn't as relaxed as I was. 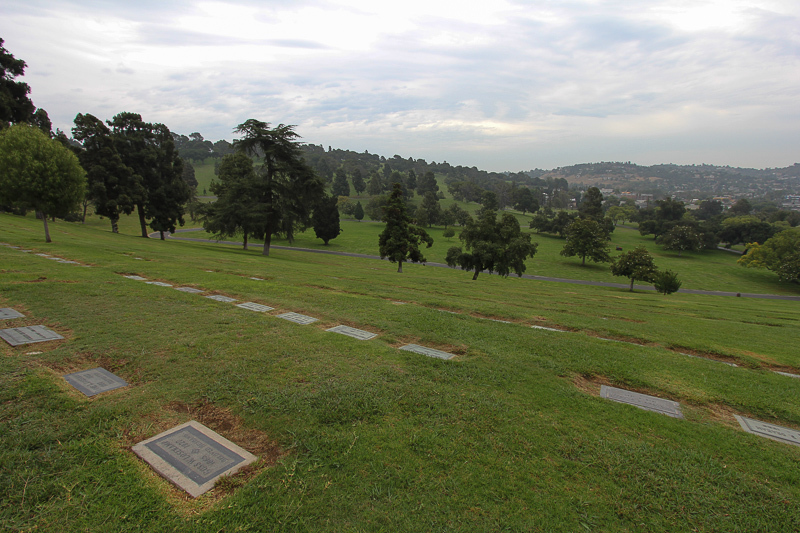 Most of its burial sections have evocative names, including Eventide, Babyland (for infants, shaped like a heart), Graceland, Inspiration Slope, Slumberland (for children and adolescents), Sweet Memories, Vesperland, Borderland (on the edge of the cemetery), and Dawn of Tomorrow. Of course our adventure stimulated our appetite and we headed over to Porta Via in Pasadena for lunch. I had the proscuitto and mozzarella Panini and Judy enjoyed the Caprese Panini with mozzarella, tomatoes and a Balsamic reduction. Fantastic as always!